Are you looking for the most effective ways to grow your business online with the best possible results? Then look no further, because we have exactly what you need. Hashtag Web Design is specialized in e-commerce web design and development. We will supply your organization with a modern, professional, and secure e-commerce solution that will make a significant difference in your business performance. 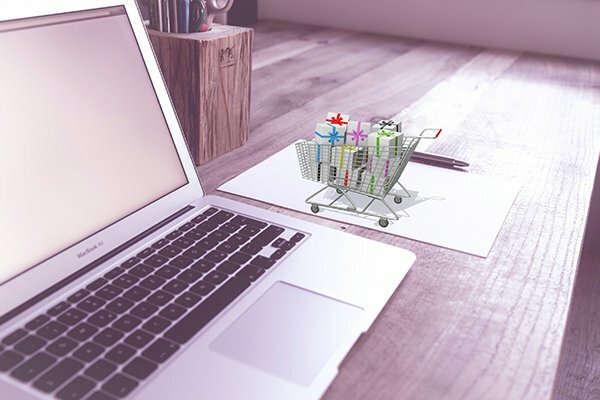 With our e-commerce design, your chances to impress potential customers will greatly increase and we can help you make your business become more visible online. We focus our e-commerce design based on specific customer requirements and we aim for the greatest results. The ability to attract more customers and engage wider audiences greatly depends on the quality of your web design. We directly deliver a way to turn all online traffic into real results. We know how much our clients depend on their online success. And so, based on your specific business needs, we will design a website that’s directly aimed toward boosting your e-commerce performance. Aside from web design, we also provide fixed fees and unbeatable prices to improve your customer experience even more. Our clients can expect only the fastest and most reliable web support. Modern websites require maintenance too, and you can count on our ongoing maintenance services whenever needed. Update and manage everything regarding your e-commerce website with ease and without any additional or hidden charges. We provide reliable, extremely responsive and efficient e-commerce solutions where they’re needed the most. We strongly believe that simplicity is the key to achieving maximum efficiency. Clear and easy site navigation combined with a professional approach will turn your website into a tool that’ll make your business grow and develop. Therefore, at Hashtag Web Design, our e-commerce design endeavors are completely aimed at supporting your business strategy. Our e-commerce design solutions feature a professional look that automatically adds credibility to your brand. The pages are well-coded for faster loading and each website has implemented SEO support. Mobile devices are extremely popular, so we’ll make sure that our design solutions have proper mobile support. The content is well-organized to be compelling, so it will capture the visitor’s attention. And we will even add calls-to-action to additionally make an impact. We have tons of extremely satisfied customers so, if you hire us, feel free to send us feedback and share a few words about what you think. We greatly appreciate the opinions of our clients, as they help us improve our service.